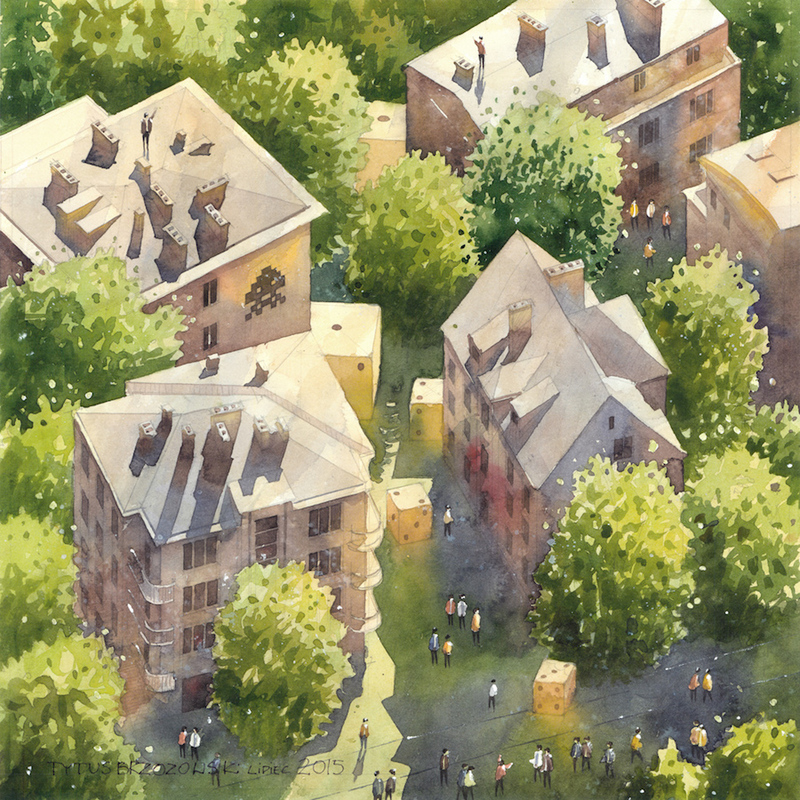 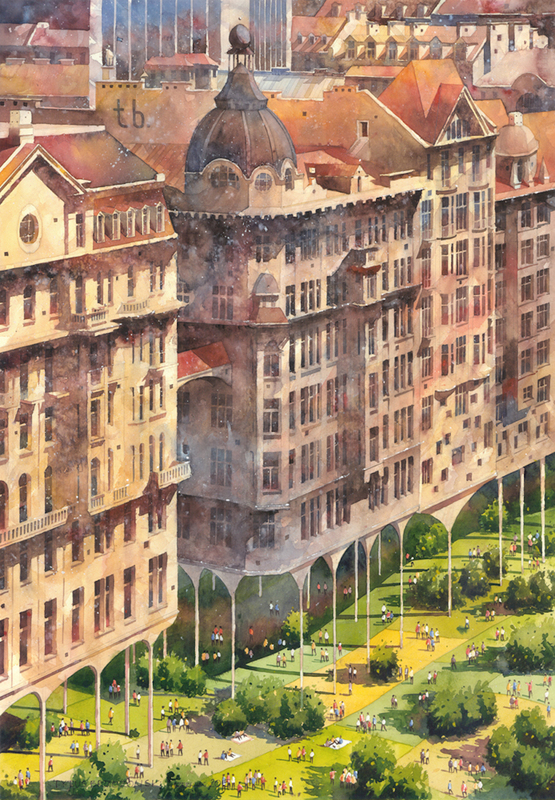 Inspired by the architecture and landscape of Warsaw, Poland—artist and architect Tytus Brzozowski paintings are both whimsical and bewildering. 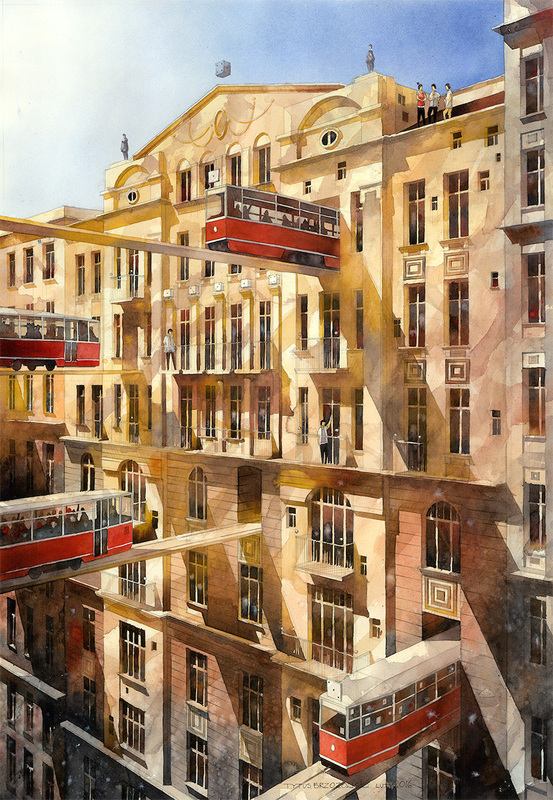 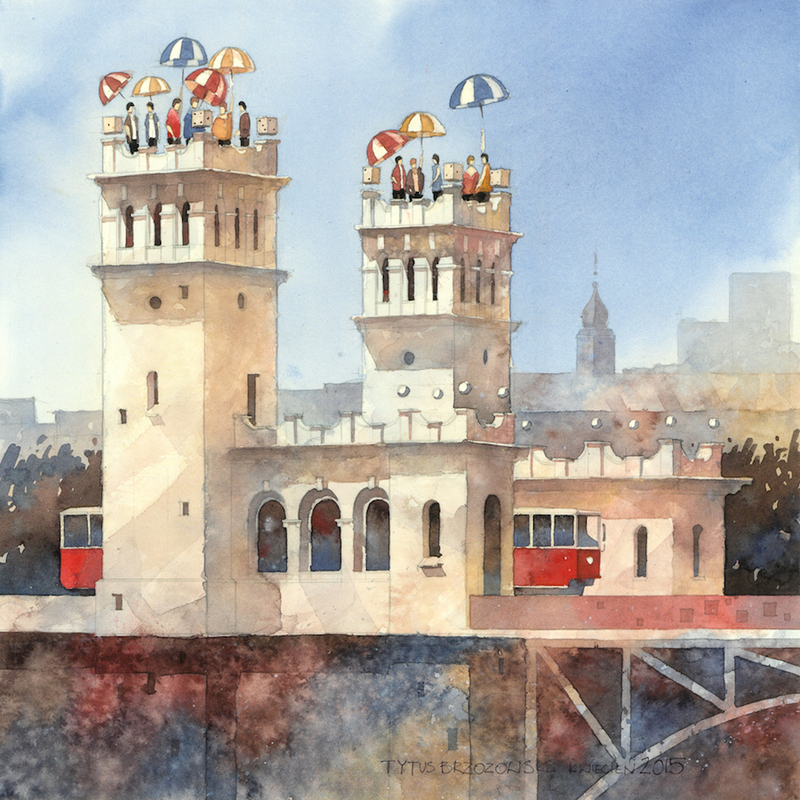 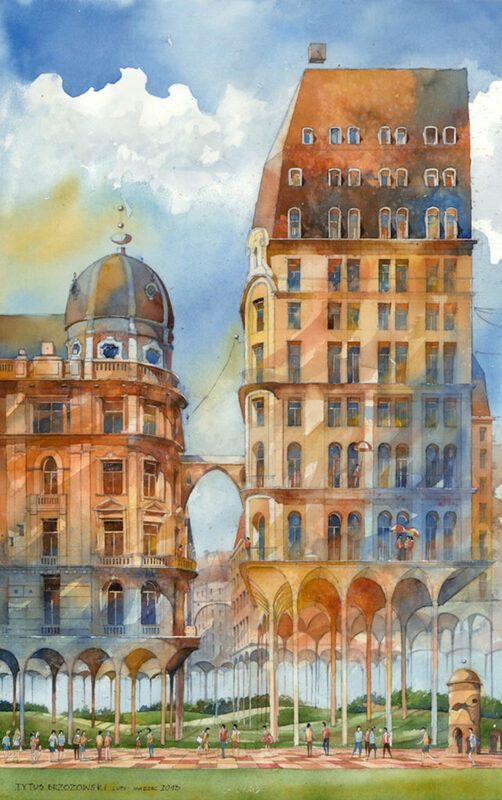 Using primarily watercolor— Brzozowski reimagines a world where decorative buildings sit on lofty stilts. 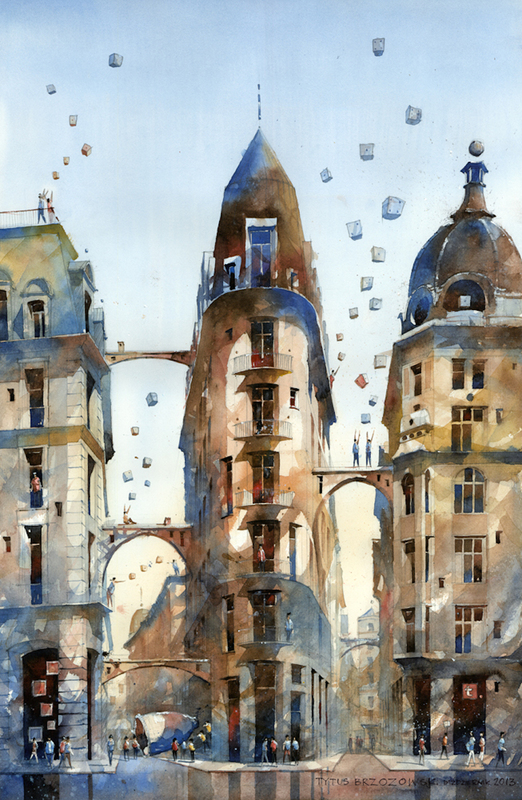 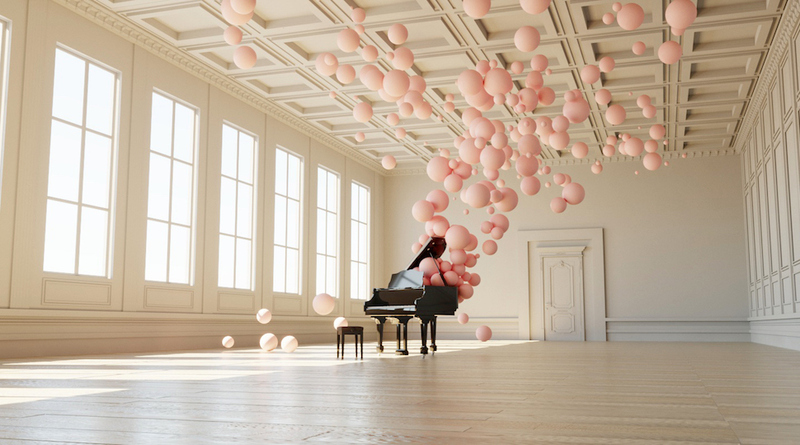 The artist wanted to combine surreal elements from the past and present in order to depict a city of his dreams. 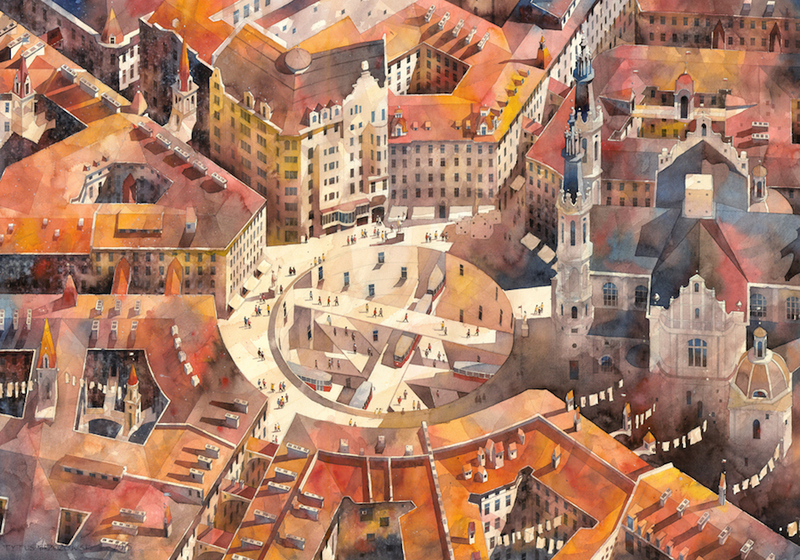 Brzozowski’s vibrant watercolor paintings appear lively, yet almost real. 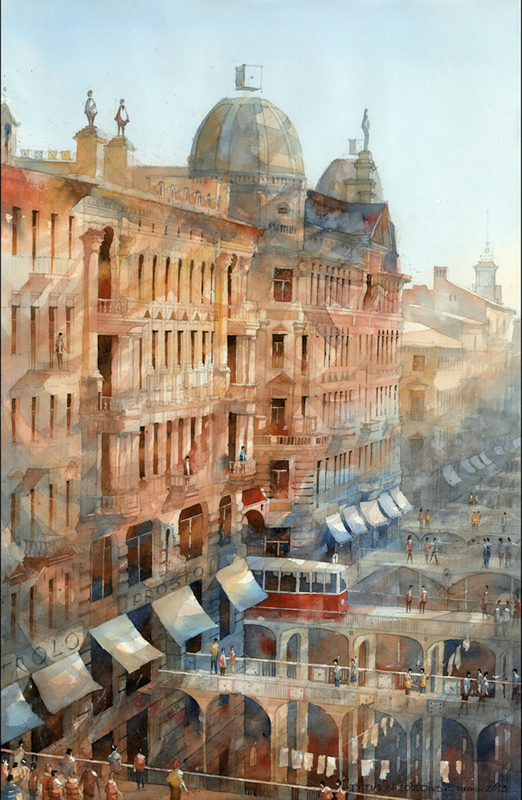 And they are, in a sense, as the architectural elements are directly from the streets of Warsaw. 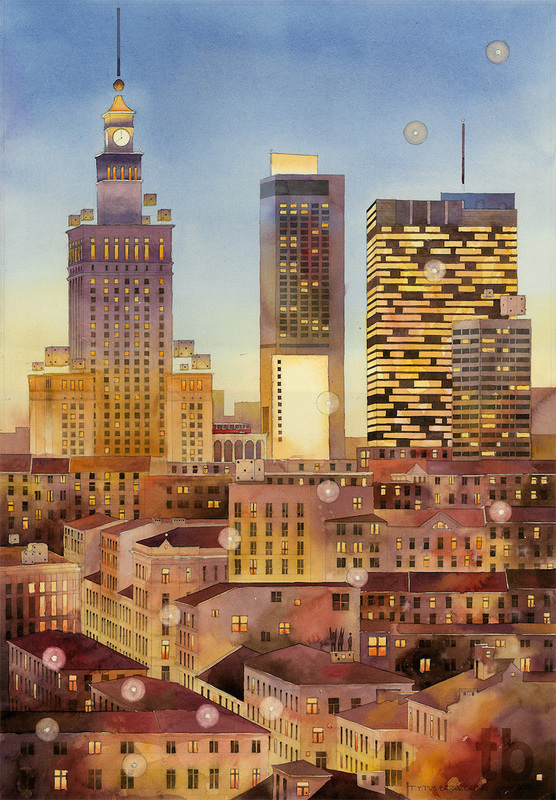 Find more of Tytus Brzozowski work on Facebook and Lumarte.